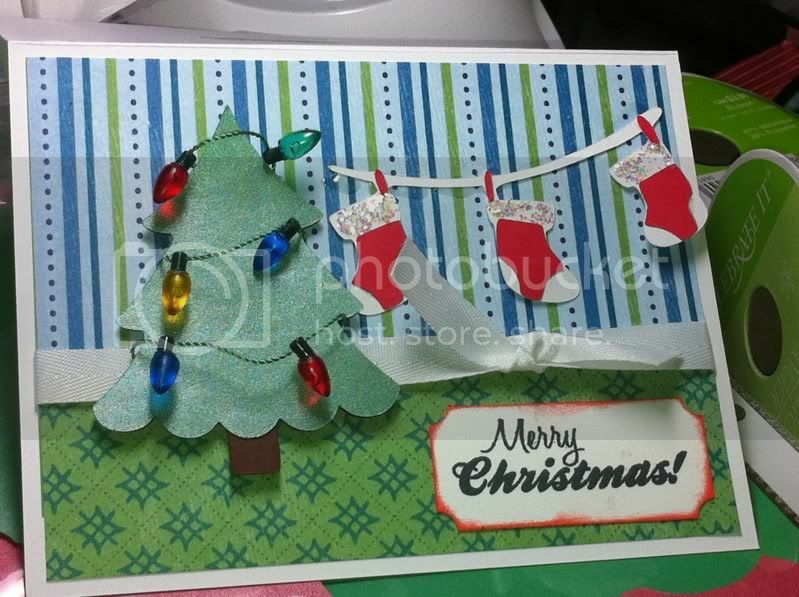 I'll have to check my camera, but I think this may be the last of the Christmas cards I made this year. Since I had to get a good 3-4 dozen made by the week before Christmas, I made multiples of each one. I even had a few left over for next year. I did finish my thank you notes over the weekend, so I'll try post that design soon. This one was made using the Christmas tree from Create a Critter (without the goofy face) and a border from Winter Frolic. The distressing didn't go perfectly, but such is life.